The tumultuous America of Steven Spielberg's Lincoln was undoubtedly a man's world, but behind the legendary 16th President of the United States — one of the greatest figures in American history — stood a fascinatingly complex, shrewd, and passionate woman: Mary Todd Lincoln. "Without a Mary Todd," asserts Oscar-winner Sally Field, who portrays the paradoxical First Lady opposite Daniel Day-Lewis, "there would not have been an Abraham Lincoln." A pensive Daniel Day-Lewis turned Abraham Lincoln appears in this black and white poster of DreamWorks' Lincoln due to hit U.S. theaters in November - actually only days after the 44th POTUS or the 45th POTUS wins the U.S. election. 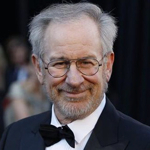 Directed by Steven Spielberg, Lincoln spotlights the 16th President of the United States during his final months in office. Steven Spielberg couldn't be at the AFI Fest premiere of The Adventures of Tintin because he was filming Lincoln in Virginia -- and now we know that the Lincoln production process is a completely-effing-serious one. Not only does star Daniel Day-Lewis look remarkable as Lincoln in this new candid photo, but Variety's Jeff Sneider Tweeted a report that he "hasn't broken his Lincoln accent since March" and his "real name doesn't even appear on the call sheet." That is commitment. And insanity. And the new photo will haunt you like a specter in Ford's Theatre. Labor Day weekend calls for more than a celebration -- it calls for validation of this thing we call work. 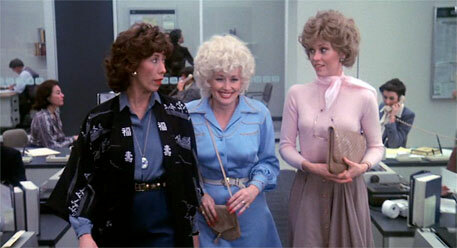 Before you canter drunkenly into the long holiday, here are five movies that will reaffirm your faith in your own employment. It'll add extra grace to your three-day break while making your return on Tuesday much easier. Let's punch in and tune out! Steven Spielberg went to town this week casting his upcoming Abraham Lincoln biopic, which already had Daniel Day-Lewis in place as Lincoln and Sally Field as his wife, Mary Todd. 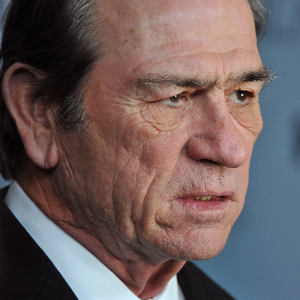 Joining them in the film, based on Pulitzer-winning biographer Doris Kearns Goodwin's Team of Rivals, will be Tommy Lee Jones, Joseph Gordon-Levitt, John Hawkes, and a dozen other thesps. Who else will log time in Lincoln?